Lauren had always been one of my greatest athletes where I had the honor to train and to bring to the next level . Not only was she athletically gifted by a degree in biochemistry so she was very adept on the science of the body . 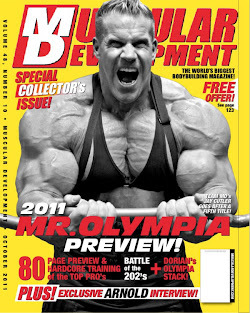 I met Lauren at the Arnold's in 2008 a good friend of Mr Olympia Jay Cutler. We already had a lot in common, she is from Canada and a national level competitor and both have many of the same interest's when it comes to the fitness world. She approached me to train her in April of 2010 and decided to work with her knowing that she had a lot of focus and determination and a genetically gifted physique. Having worked with many top level pro's and a great referral like Jay Cutler she couldn't go wrong. We commenced training for the Canadian Nationals where she placed a strong 2nd almost taking the class. We made some minor adjustments coming in a little fuller and tighter and she was able to dominate the field taking first place in her division. Lauren has been working extensively on her E -books and website http://fitdiva.ca/ so for now her competitive stage showings will be put on hold . She is still very active publishing fitness articles and helping others with there goals. Please check her out on her Facebook..